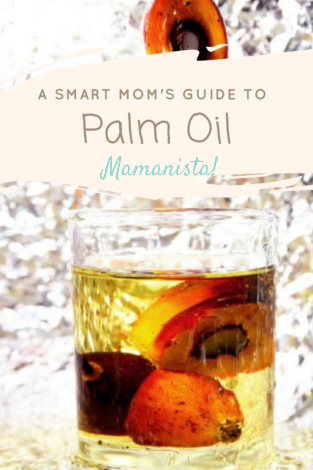 Get the Facts: A Smart Mom's Guide to Palm Oil - Mamanista! Mamanista is excited to have nutritional expert, Jonny Bowden, aka “The Nutrition Myth Buster,” expert guest posting today and sharing a Smart Mom’s Guide to Palm Oil. After being introduced to Jonny, we found information on palm oil intriguing. So, we wanted to share with our readers too! **Disclaimer – this is not a sponsored post and Mamanista was in no way compensated for this post. Read labels, and you’ll spot palm oil in everything from your kids’ favorite cookies to your premium nutrition bar. Palm oil is estimated to be in half of our packaged foods. Despite being the world’s most widely consumed vegetable oil, many American moms know very little about palm oil. Where does it come from? Is it healthy? Is it good for the planet? Why are food producers using it anyway? Here’s what smart moms need to know. Many manufacturers have switched to natural tropical fats such as coconut and Malaysian palm oil to replace the trans fat-laden partially hydrogenated oils (PHOs) in their products. PHOs have been shown to increase heart disease, diabetes and stroke risk so the FDA has restricted their use. Malaysian palm oil is an industry favorite because of its quality and wholesomeness. This premium healthy fat offers a creamy texture and long shelf-life, plus it’s responsibly produced. Many of us are trying to eat foods closer to how they are found in nature. But that can be a challenge when it comes to edible oils because almost all of the canola, soybean and corn grown in the United States (more than 90 percent!) come from genetically modified seeds. Thankfully, all palm oil is non-GMO. Palm oil also offers a unique, heart-healthy 50-50 blend of saturated and unsaturated fat. Plus, it’s loaded with vitamin E tocotrienols. This antioxidant is up to 60 times more potent than the more common vitamin E form. 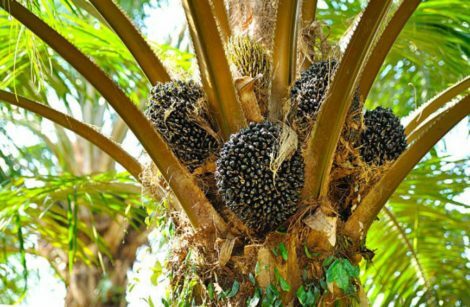 In tropical climates around the globe, a special species of palm tree produces bunches of oil-rich fruit. Each bunch weighs between 20 and 50 pounds and may contain up to 3000 individual fruitlets. In Malaysia, plantation workers handpick these massive fruit bunches, often on family farms which have been tended for generations. Palm oil is released when these fruitlets are squeezed. The process is similar to olive oil production. Oil palm plantations are incredibly high yielding. In Malaysia, one acre of oil palm produces 11 times more oil than an acre of soybean, 10 times more than sunflower and 7 times more than canola. Best of all, oil palm trees don’t need to be cleared and replanted every year as with corn, canola and soybean crops. This results in significantly less environmental impact, as well as stable homes for native wildlife. Malaysia is a leader in palm oil production. This progressive tropical county puts the needs of the planet and its people first when producing palm oil. Unfortunately, not all palm oil producers feel the same way about protecting resources. Malaysia was the first country to produce certified sustainable palm oil. By 2020, all palm oil produced in the progressive Southeast Asian country will align with its stringent sustainability policies. Leading companies such as Kellogg’s, Nestle and General Mills depend on palm oil to produce great-tasting and nutritious products. They take great care to use responsibly produced and certified sustainable palm oil, such as MSPO-certified palm oil from Malaysia. Malaysian palm oil the label indicates quality. About Jonny Bowden, PhD, CNS, (aka “The Nutrition Myth Buster”).